What goals are you hoping to accomplish with your social media endeavors? There are only a handful of top social media platforms that are worth your time. We are going to bring you through the most popular ones and why you should take advantage of using them. Which platforms should you be concentrating on? Think about what you want to offer to people. Do you want to reach new customers and convert people to loyal fans? 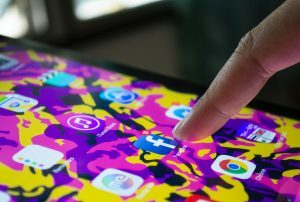 Perhaps you hope to provide a place for people to connect with your business in a more personal way. Think of a main reason and try to decide which platform would best fulfill that goal. You might want to choose a couple of different social networks to get started. Facebook – Facebook is a social hub where your customers are spending time interacting with their friends and family. In recent years, facebook has also become a hub for business and community organizations. With a business page setup, you can create a following on Facebook and reach your ideal audience. Think of a Facebook Business page as another home for your business and a way to attach a personality to your brand. It will also help you cultivate a relationship with your customers. Whatever your business model, you can establish a following and gain valuable engagement from your audience with Facebook. Twitter – Everyone is using Twitter these days. Large corporations to small businesses use Twitter to stay in contact with their customer base. You are positioning your business as being up on social media and relevant to the culture. Refine your business image by communicating with others to build the brand image that attracts customers. You can start conversations with practically anyone. Build valuable relationships with people you might never have connected with otherwise anywhere in the world. LinkedIn – There are over 65 million business professionals on LinkedIn. Recruiters and job seekers use LinkedIn. Highly sought after and successful individuals regularly post and interact on the platform. If you are looking to grow your business by gaining referrals and networking, LinkedIn is a great place to be. You can use LinkedIn in a few different ways. Simply having a profile and making connections can help you get in touch with potential clients and people that would be interested in your business. How do you take full advantage of Linkedin? Post regular updates that might be of interest to other people. Show how you can help other people achieve their goals. You can use paid advertising on LinkedIn to get in front of your target market quickly. Join a group related to your business on LinkedIn. Participate in discussions related to your industry. One last thing useful tip about LinkedIn: paying users are able to see who viewed their profile. Instagram – Show your audience what your business does in a creative way. Instagram is mainly an image based platform, so the name of the game is drawing the eye and getting likes. Give value through interesting and inspirational stories along with sharing evocative pictures. If your business offers a service, focus on showcasing your process behind your service. What are your company values and mission statement? Try using Instagram stories for your business. WIth this recent update, Instagram has tried to capture the same market as Snapchat by allowing users to post short video clips and gifs that disappear after a 24 hour period. All photos and videos will play in the sequence that they were posted, and you can add as many posts to your Instagram story as you like. Create a professional business profile with a link to your website in your bio. Instagram has recently launched business profiles that allow you to utilize paid advertising as well as include a phone number for contact in your bio. Instagram is a great tool to help you build your brand over time. Pinterest – Depending on your business model and your customer base, Pinterest might be a useful place to showcase your wares. Pinterest has a significant reach among women, as they are the majority of their user base. With over 200 million monthly visitors, Pinterest is nothing to dismiss. People use Pinterest mainly for finding inspiration for creative activities. If you plan on using Pinterest exclusively for your business, you should create a Pinterest business account. These accounts offer extra features such as analytics and the ability to use their advertising platforms.